MUMBAI: The past year has been tumultuous for banking, as well as the broader financial services industry. But, as the scriptures say, suffering builds endurance and character. The financial services sector seems to have exorcized its demons and is finally back on the growth track, having reduced its stack of bad loans and reignited the credit engine. Some questions, though, still need to be asked: Have all the risks been squeezed out? Is there enough liquidity to fuel growth? What kind of challenges and opportunities now lie ahead? One inexorable change does present both a challenge and an opportunity: the growing role of digital banking and fintech. The digital economy is disrupting all traditional industries and creating new possibilities. The financial services industry is no exception; it is embracing digitization and exploring how it can increase internal efficiencies, provide value-added customer service, minimize risk and become the engine for growth. Mint Annual Banking Conclave, 2019, will on Monday seek to address the broader issues that confront banks and finance companies, as well as attempt to chart the road map for digital banking and fintech. The highlights of the conclave are an inaugural address by Reserve Bank of India (RBI) deputy governor N.S. 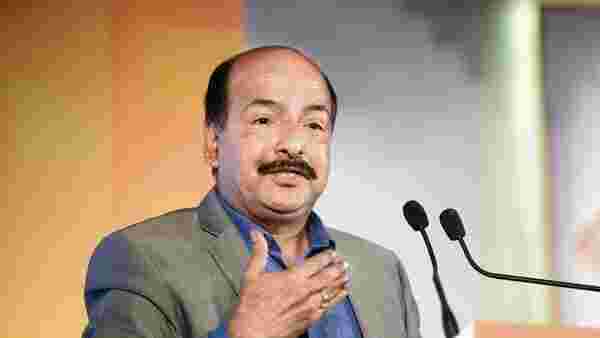 Vishwanathan and a keynote speech by former RBI deputy governor R. Gandhi. There will also be a one-on-one chat with the chief of National Payments Corporation of India, Dilip Asbe, on the future of digital banking. This will be followed by rounds of discussions with heads of India’s leading banks and finance firms, conversations with chief digital officers of leading banks and technology consultancies, and a series of short presentations on fintech innovations. Confirmed participants include Rajnish Kumar, chairman of State Bank of India; P.S. Jayakumar, managing director and chief executive officer of Bank of Baroda; Zarin Daruwala, managing director and CEO of Standard Chartered Bank, India; V. Vaidyanathan, managing director and CEO of IDFC First Bank; Surendra Rosha, India CEO of HSBC; Rajkiran Rai G., managing director and CEO of Union Bank of India; Rajiv Sabharwal, managing director and CEO of Tata Capital; Umesh Revankar, managing director and CEO of Shriram Transport Finance; Vinay Sah, managing director and CEO of LIC Housing Finance; and Rohit K. Sawhney, managing director and CEO of India Ratings.